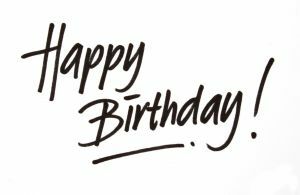 Barbican Waterfront Website – 1st Birthday! 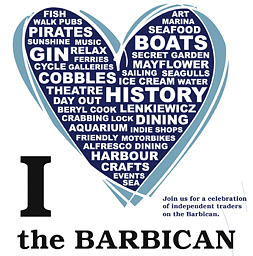 The Barbican Waterfront website is 1 year today! What started out as a small project to help the local Barbican community and attract more visitors has grown quickly into a fully packed website, dedicated to many aspects of this historic area of Plymouth :). I thought I’d mark this point with a little history about the website and a bit about myself and the people who help make the Barbican Waterfront website what it is today. Firstly, and I get asked this a lot, the website is ran independently by myself (Scott Grenney) and a band of volunteers. We get a lot of support from members of the local Barbican community, Plymouth area and members of the general public who also have a passion for the Plymouth Barbican. I don’t work for the Council, PWP or any tourist board. 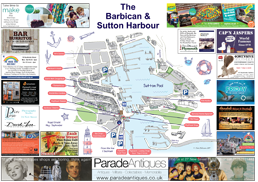 I am just a local with the desire to help encourage people to visit the Barbican area :). I receive some revenue from banner ads, featured news posts etc. All money received from advertising is invested back into the website helping it grow. I will soon be releasing more details about various advertising options. It all started in 2009 when I moved into the Admiral MacBride pub on the Barbican with my Fiancee Kamila and our young son. Kamila was taking the reins as the pubs new General Manager. During our 2-3 years there I started to become more aware of the events which occurred regularly on the Barbican. I became involved in helping the pub prepare for them, creating posters and coming up with random ideas to help the business attract more customers. I started throwing some ideas around and would talk endlessly to Kamila about them, which you can imagine drove her a little crazy at times :). We went on our regular holiday to Poland to visit her family and I spotted Kamila using a website http://www.portel.pl to find out information from her home town. The website was clear, informative and contained listings, event calendars and more. Even better was the multi language option where I switched it into English and looked through it… (yep I have the multi language idea on my to do list 😉 ). On our return Kamila had started to see my idea for a Barbican website would be a good one and started to encourage me to go with it. I bought a few domain names and played with some website ideas until settling on what you see on here today. Before the website was launched Kamila and The Yard Arm Landlord Nigel Ledger highlighted to me how people would come around pitching their new website, offering listings and asking for £60-£120 for their business to appear on their listings page. On looking at a few of these sites I was surprised to see some businesses featured and who had paid this much for a 6month – 1 year listing! With Google, Facebook e.t.c this information is freely available and I quickly started adding FREE listings to the website for all local Barbican Businesses. This was harder than I thought and I was surprised how many Pubs/Clubs, Restaurants, Shops and Attractions there are on the Barbican. On my way to work each day (I work full time in a data entry centre) I’d take photos of the various businesses to appear on the listings. This took me 3-4 weeks to complete. To cut a very long story short and to avoid you closing this page down as I waffle on to much! I started to get involved in the Barbican community more. I am now an active member of the Association of Barbican Businesses (ABB). The website receives support from people across the community and from around Plymouth. I’ve found the joint Facebook and Twitter accounts have helped hugely in spreading the word about the website. Twitter has also given me access to a number of people from councillors to media business and more who have helped over the year. I’d like to thank Ben Shearn, Sarah O’Leary, Kirsten Kruse, Mike Pitches, Scott Ledger, Nigel Ledger, Roy Martin, Steve Dudfield, Keiran Blackwell, Lorna Pearce, Jenny Bishop, Sam Joseph, Chris Penberthy , Stacey Dyer, Chris Robinson, Barbican business owners and everyone who have given their free time to help with the website from supplying content to photos from the general public, amateur photographers and professional photographer Mike Pitches who supplies event photographs and their time in helping make the site what it is today. My aim is to continue the growth of the website and for it to be a hub community website for all things Barbican Community related in years to come :). I welcome feedback and suggestions / ideas. Feel free to email me anytime: scott@barbicanwaterfront.com.